At Sugarloaf Craft Festivals, we pride ourselves on offering a hospitable home for fine artists. Whether you’re a well-established painter or a printmaker looking for the right buyer for your original work, our 11 Mid-Atlantic art festivals offer a truly special opportunity. The fine arts community recognizes Sugarloaf as one of the premier juried art shows designed for artist-entrepreneurs, with a jury of art-lovers who ensure that your work is positioned among the best. We welcome a wide variety of fine art submissions to each of our shows. We allow the submission of both prints and original artwork at Sugarloaf. Common fine art exhibit categories include acrylic paintings, watercolor paintings, oil paintings, ink drawings, silk-screened prints, block prints, inlaid wood pictures, sculpture and other categories of fine art. Over 10,000 visitors attend Sugarloaf festivals in search of unique, original and decorative art pieces, so we’re confident you’ll find the ideal buyer for your fine art. 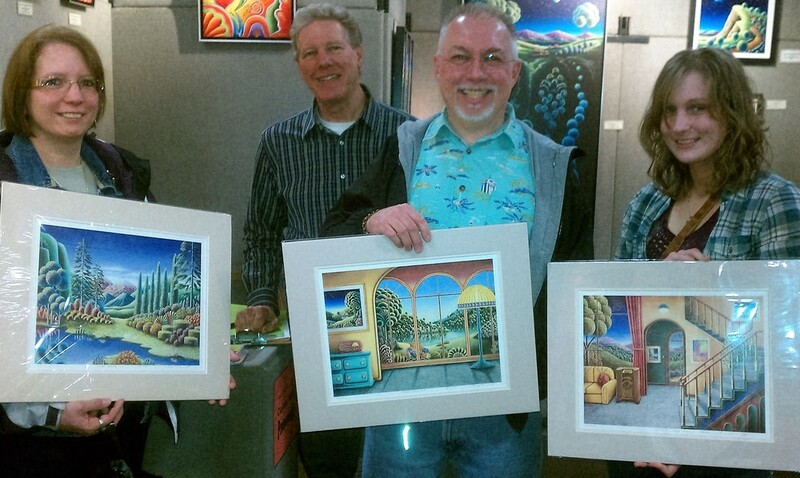 The Sugarloaf art show advantage includes well-marketed shows in proven markets throughout Pennsylvania, New Jersey, Virginia and Maryland as well as discount hotel rates and other perks. Sellers at Sugarloaf Craft Festivals consistently remark on the vibrant, close-knit community that develops at our 11 annual festivals. You’ll come away with strong entrepreneurial skills, a base of loyal customers, a new family of likeminded artists and immeasurable exposure. Our patrons are some of the most discerning and appreciative fine arts buyers anywhere. If you’re ready to apply, we simply ask that you fill out our online submission form along with some high-resolution digital images. We also accept submissions via mail. Don’t hesitate to reach out to us if you have any questions about submitting, exhibiting or attending.